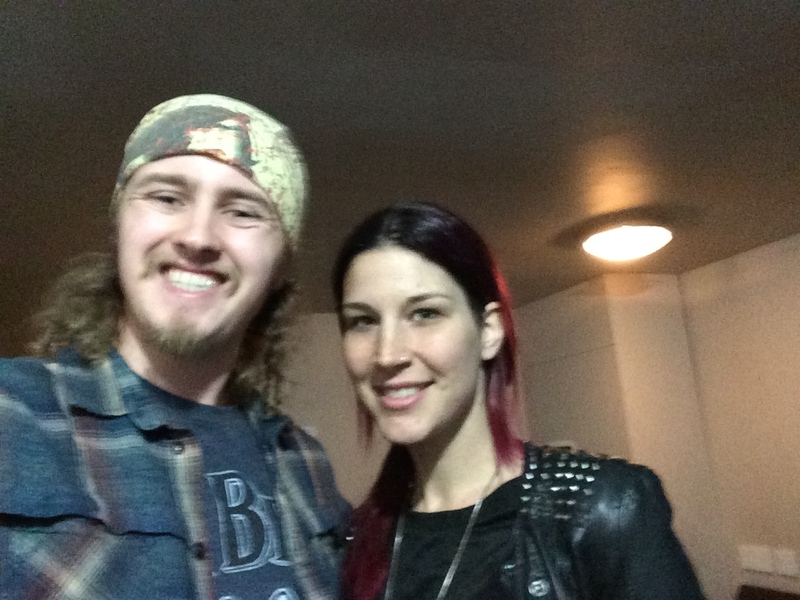 The ever chatty Charlotte of Delain let us interrogate her before the show in Glasgow with Within Temptation. After a gruelling two minute wait outside the O2 Academy, an unassuming small Dutch woman ushered us into a dimly lit back room and introduced herself as Charlotte. She patiently waits as I unload my camera, prep my voice for non- Scots comprehension (meaning English instead of bad-English) and we’re off. 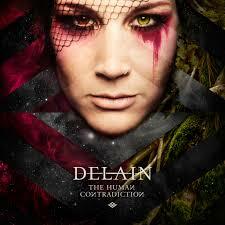 We get Charlotte to wax lyrical about their new release The Human Contradiction, their last album We Are the Others and the ties between Delain and Within Temptation. 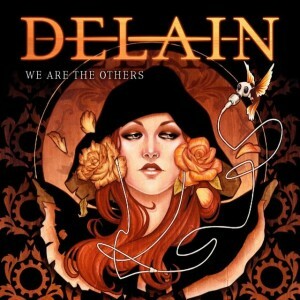 You can read our review of the Delain and Within Temptation gig by clicking here, and our review of the new album by clicking here. Hate videos? The transcript will be up here tomorrow. Come back to read it then. Weirdo. Transcript for the bookworms. This isn’t a word for word replay; the flow of thought rarely works well on paper without serious editing. It’s 90% there, but if you’re a purist, you can always watch the video! James: How’s the tour going so far? Charlotte: It’s going great, we started out with our Germany lap, which went great. Now we’re in the UK, in Scotland. we actually played Wembley a few days ago, which was kind of a big deal for us. It’s all been very good. The engagement from the audience, they’ve been very responsive. I hope we’re winning some new souls. 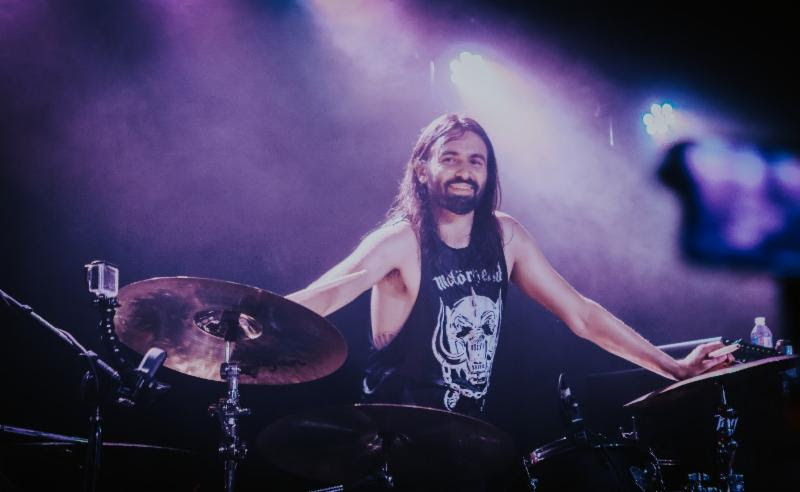 James: What’s it like to tour with a band such as Within Temptation, especially as Delain’s origins are tied to that band? You could say you share some blood? 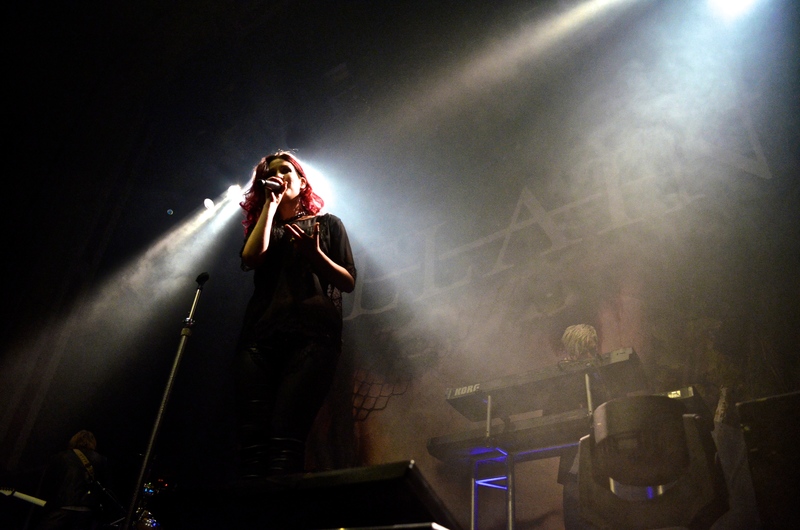 Charlotte: Yeah, our keyboard player used to be in Within Temptation, there’s some family ties there. There is definitely a connection there, and it makes it good for us to tour with them. I don’t know about support bands before us, but with us it’s been so positive, I don’t know if it has to do with that. Obviously I like them anyway, despite the connection. James: I’m gonna ask you about your new album (The Human Contradiction) in a moment, but I’d just like to talk about your last work (We Are The Others) for a little while; I believe it was based on a young girl being killed for the way she dressed? Charlotte: Especially for the title song, We Are the Others, it was certainly based on what happened to Sophie Lancaster in the UK, we’ve been in touch with the Sophie Lancaster foundation about it very early on in the process, they supported us doing a song about it. It was a very special thing to see the response, even people just wearing the Sophie Lancaster bracelets. James: I’ve been listening to your release the Human Contradiction. Right form the start its a lot heavier and darker than your previous albums. There’s more aggression to it, more growls and screams and stuff. Was that a conscious decision? Charlotte: In a way it was. Basically, every time we set out to write new material, we got the heaviest riffs and biggest sounds, but no effort was made to make it come out more in this specific record. It could have something to do with the producing is back in our own hands again.Also, we had not so much time to write and record this record which meant that with the creative decisions we couldn’t second guess every idea. As much as possible, anything that flowed naturally got in the record and apparently, thats what happens. James: Metal comes through. So a lot more organic, a lot less polished kind of thing? Charlotte: Yeah, it’s less polished in a way, and that was scary for us as well, because we had to think is this how it should be, or is it because we have a deadline to make. It meant through the process we were kind of checking back on ourselves, thinking what are we doing, how are we doing it, why are we doing it, but in the end that’s kind of charming. A lot of the songs stay close to the original idea we had. 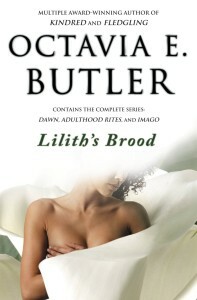 James: I understand the source material for The Human Contradiction is a sci-fi trilogy called Lilith’s Brood. Do you mind telling us a bit more about that? Charlotte: Definitely. 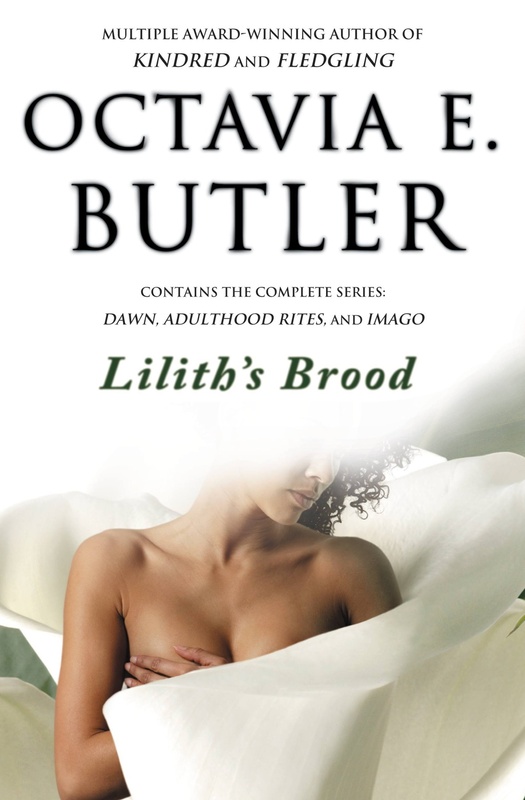 The source material for the title was shamelessly stolen from one of my favourite pieces of fiction, a trilogy called Lilith’s Brood by Octavia E. Butler. (cont): Within this story, the human contradiction as a concept as humans being both intelligent and hierarchical. Each of those alone would work to our benefit, but the combination is not good. It makes us pick random qualities in others and use those qualities to rank them higher or lower on this constructed ladder. It goes beyond human relationships, to humans and non-humans, or others. This is exactly the type of behaviour that allows for systems of oppression and racism, sexism, speciesism, you name it, to exist. It kind of continues with the topic of otherness, which we introduced in our previous record. We tried a lot of different angles, and it’s not the case that every song on the record is about that. There are some songs that have a topic quite explicit, but The Human Contradiction as an over arching concept works quite good. James: A moment ago there you mentioned that there were two groups under the Human Contradiction theory from the book. Your last album was titled We Are the Others, again implying this two group division. Do you see yourselves as being one of these two groups, the intelligent verses the hierarchy? Charlotte: We Are the Others, the otherness is a word that can be implied to a lot of situation.s There is not one group that I would imply as the others. “Othering” people, placing them outside what you consider the norm, I would consider negative. When I thought of the lyrics for we Are The Others, its more about the otherness within yourselves. Sometimes you feel like you don’t belong, you’re just different one way or the other. Of course, this is a sng about a girl who was attacked for being part of a subculture, which was really lcose to home for a band such as oursleves. Then I tohught, w eneed something to embrace theothenress and cdeleberate it, but at the same time about not othering people yoursleves. If you ask whoa re the others, I wouldn’t say anyone because that is exactly the type of behaviour that creates this hierarchical kind of ranking. James: There you talked about when you were writing the lyrics to We Are the Others; I understand in a band such as Within Temptation, there is more or less one principal songwriter that the other band members then chip in with. In Delain, what is the songwriting process? What is your contribution? Charlotte: Basically all the lyrics, then within the songwriting team for the songs themselves, the basic structure and music, we do that together. We used to work on more like on an island, but on this record and the previous one we meet in the studio and write the songs from the idea or from scratch, and write them between us, until we think is this is a basic structure that works, we open it up more, work on the lyrics and vocal lines. The basic songs are written by the three of us, then I do the lyrics. It’s a good combo, I think it’s rather special when you find a combination of people where you can sit together and share and produce content. It’s good we have a guitarist, a guy from the key department, a singer, so we can approach the music from different angles, which is refreshing in a lot of cases. James: Being in Scotland at the moment I have to ask, is your song The Gathering inspired by Highlander? Charlotte: No. This is actually one of the few lyrics I haven’t written. ON Lucidity, our first record the songs and lyrics, I think The Gathering was already there. It’s not about Highlander. James: In Britain, rock bands often affect an air of a working class persona, being of the people, all that kind of stuff. In an another interview, I heard you acknowledge that musicians tend to come from a privileged position, as since they can engage in such a financially unstable career? Charlotte: There’s two sides to it. First of all, we don’t make much money. At least, I can say for m self, I work a lot and dont make minimum wage. I wouldnt disagree with people who say it’s a tough job. A lot of people get rich from music, but for most of us it is a tough job. At the same time, to be able to do a job where you are uncertain of your financial income requires you to have the social safety net in order to be sure you’re gonna have a roof over your head. While I don’t make much money, I feel we are in a privileged position to be able to do this without making much money. There are multiple sides to it, and I fully acknowledge the privilege in that.Not to say please download our music because we’re ina privileged position, cause a lot of people think “oh, rockstars make a lot of money;” thing is we do need that money! 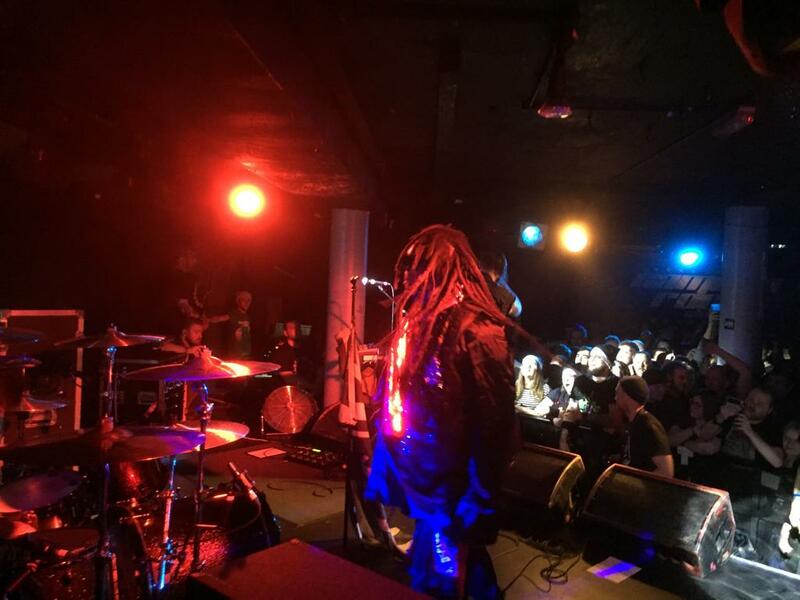 The fact that you can leave your house and go on tour, it is something special. Charlotte: a sub-genre within a sub-genre within a sub-genre. James: It is a triple inception mindfuck. Across Scandinavia and Northern Europe, it isn’t quite mainstream, but there seems to be a wider audience and a bigger audience for it. Within Temptation’s Angels got a number 1 ages ago, April Rain did well in the charts for a good while. 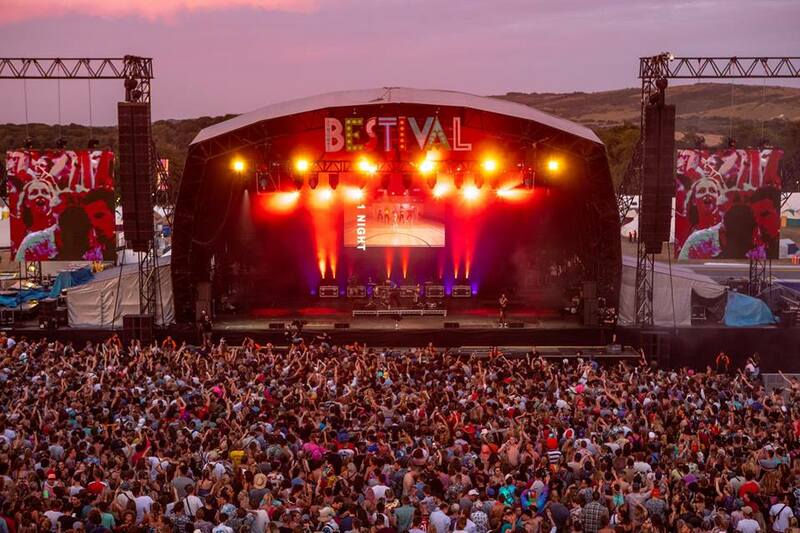 What do you think it is about the audiences that make them more open to this kind of music? Charlotte: The thing is, also Within Holland, we don’t get airplay, and of course there’s exceptions like Within Temptation, but as you say it’s still not very mainstream. I remember going to Sweden to record We Are the Others, and they have this huge radio station called Bandit Radio (? ), and they play everything from Slayer to Foo Fighters, and it’s apparently very popular. Things like that could never exist in Holland. But I also think that what is mainstream, in a country, doesn’t define how welcoming people are to your music. Sometimes it seems like the more underground what you’re doing is, the more appreciative people are when you come over. For example, Germany is quite well known for having a huge metal scene. We were always told “you guys could really make it in Germany, you’d do great” but fact is you got to Germany, you play in Berlin and there are six bands in comparable genres playing in the venue next door, so there’s far more competition. Or you got Brazil and people cry for joy that you’re finally there! So whether somethings mainstream in a certain country doesn’t dictate your experience. James: One last one for you. In your newest album, what is your favourite song, or the one that has the most meaning for you? Charlotte: There’s a couple at the moment. Here Come the Vultures, the first one, and the last one, The Tragedy of the Commons, just because they’re kind of different in build up and style than a lot of things we’ve done so far. I just think its really cool and refreshing. I kind of like a different song all the time at the moment. After the interview, I was given a photo-pass and ushered into the O2 Academy. You can see the pictures of Delain and Within Temptation, as well as a review, by clicking here.